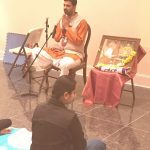 On October 9th Thursday, Sri Ramanujamji delivered a lucid discourse on “Practical Aspects of Srimad Bhagavatham” at Sri Shirdi Sai Mandir of North Carolina from 7.30- 8.30 PM. 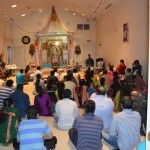 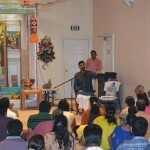 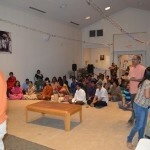 The lecture was very well received and it was attended by around 50 devotees. 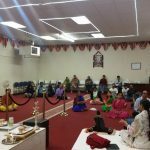 Sri Ramanujamji mentioned that dharma is not only one’s duty but it is an intrinsic characteristic behavior akin to how sweetness is to sugar. 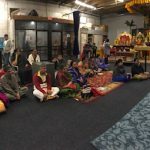 He also beautifully conveyed the precept that even if one does not have the natural tendency to worship and surrender to the lord, one can certainly develop by imitating and copying those who have the natural ability to so. 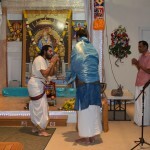 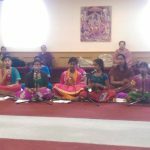 The devotees enjoyed the nectar of Srimad Bhagavatam and he was honored by the temple organizers. 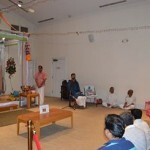 The temple management has also requested Sri Ramanujamji to organize a Bhagavata Saptaham in the near future. 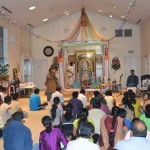 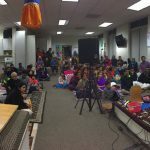 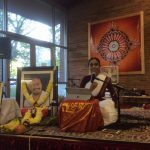 By the immense grace of Sri Swamiji, Sri Ramanujamji’s first trip to Raleigh was very well received and Raleigh satsang is eagerly looking forward for more satsangs in the future.